Harry The Librarian: Harry is "The Voice of Caffeine!" 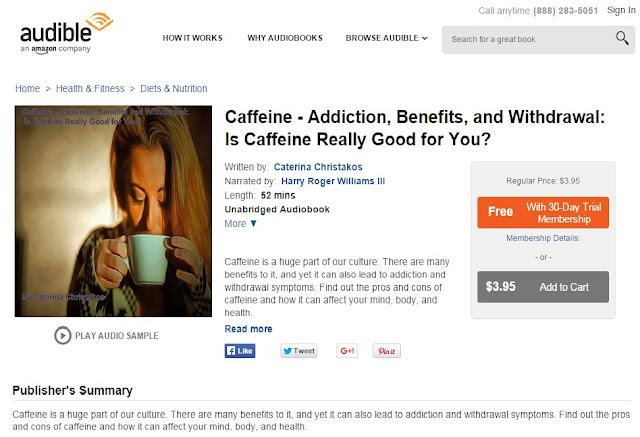 Harry is "The Voice of Caffeine!" I'm a "published" Audiobook Producer and Narrator! While this was being prepared for retail I have been working on two more nonfiction works. Thank you ACX for enabling narrators and authors or "Rights Holders" to connect and collaborate. A special thanks to Caterina Christakos for selecting me as her narrator for Caffeine!